With Google’s Fiber operating in three cities, project leader Kevin Lo spoke at the Broadband World Forum to dispel the myth that users don’t want or have no use for increasingly fast broadband speeds. 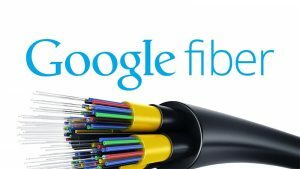 Currently, Google Fiber offers broadband speed at a whopping 1 gigabit for uploads and downloads, which is over 100 times faster than the average American internet connection according to internet service surveyors Akamai. Mr. Lo pointed to Google Fiber’s success in their first location, Kansas City, as proof that there is a demand from consumers for faster internet speeds which will only advance the internet as a whole. In previous months, Google Fiber has earned derision from opposing internet service providers who contend that users neither want nor have a use for internet speeds as high as 1 gigabit. Whilst Google Fiber has been operational in Kansas City, Missouri, residents not only have access to high-speed internet, but have the opportunity to benefit instead from lowered prices from competitive opposing service providers.